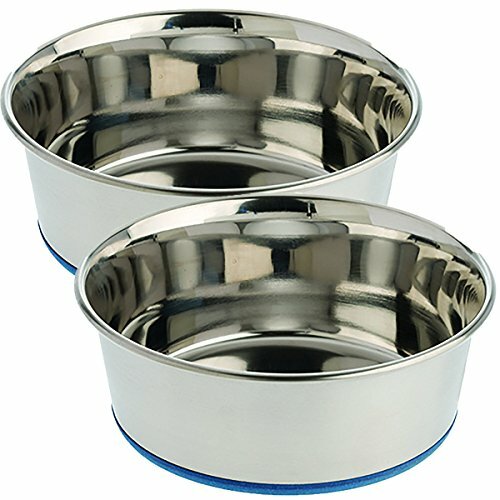 OurPet`s Durapet Bowls are made of high quality, heavy duty stainless steel with a permanently bonded rubber ring in the base that prevents sliding and undesirable noise. Permanently-bonded rubber ring on bottom of bowl. 1.25 quart is for level full water (for liquid) to the top. The 4 cups refers to dry food without spillage. View More In Raised Bowls & Feeding Stations. If you have any questions about this product by Our Pets, contact us by completing and submitting the form below. If you are looking for a specif part number, please include it with your message. Our Pets Signature Series Elevated Dog Feeder 4"